The medieval village and UNESCO World Heritage Site of Saint Emilion is a perfect full day trip from Bordeaux. 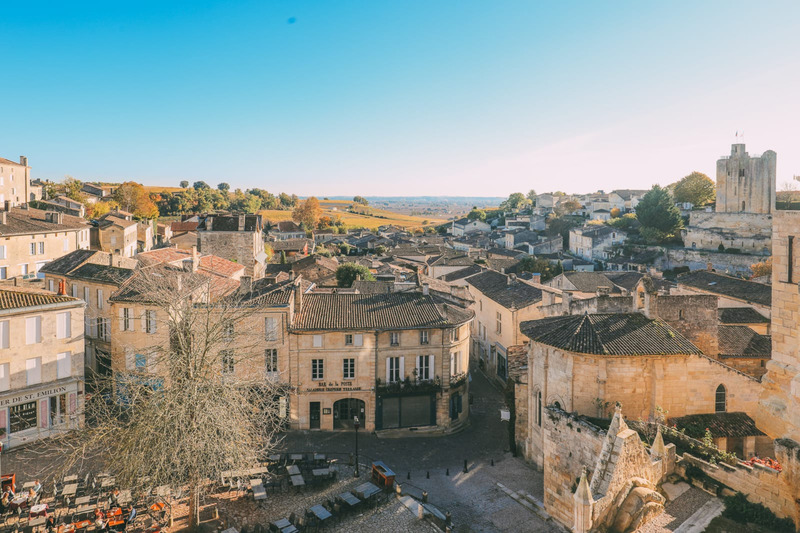 Arriving to St Emilion you will find the stunning site of this compact town towering up from a sea of surrounding vineyards. Saint Emilion is best known (indeed renowned the world over) for the vineyards which surround the town, Saint-Emilion being one of the four Bordeaux red wine regions, but is also an exceptionally attractive small town. Saint-Emilion is entered by way of one of the seven gates that are part of the original medieval fortifications. Inside the walls you will discover steep narrow streets with beautiful buildings, and several more open squares, each more attractive than the one before. Saint Emilion is not to be missed if you are in the region! Built from, or rather hacked out of, the local yellow limestone, Saint-Emilion is centred around a large square with a church on one side. This is a quite remarkable church because it is more or less hewn into the the rock face. You can also climb the steps inside the 53 metre high 13th century bell tower which sits on the square above for stunning views across the rooftops and countryside. For more views and history you can also climb to the top of the Chateau du Roy, the castle keep that is part of the medieval castle that once stood here. Other particular places of interest include the collegiate church and its splendid cloister; the Cordeliers monastery and cloister; and the underground pottery museum, built in a 12th century quarry and containing pottery from 2000 years ago up to the present day. To really appreciate Saint-Emilion you need to descend underground on the guided tour that will show you the catacombs which were used for Christian burials from the 8th to the 10th century; a 'monolithic' church that was carved out of the rock in the 9th century and is the biggest of its type in Europe (this church is nothing like the small cave like structure you might expect from an underground church! ), and the 'grotte de l'Ermitage' in which Saint-Emilion spent the last 17 years of his life.